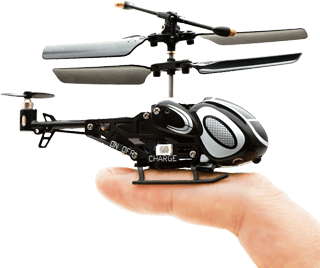 Enjoy in your free time with this micro rc helicopter from Kyosho company, this is one of the most smallest RC Helicopter in the world!. Includes a powerful led for use at night or in a dark rooms. Note: The helicopter includes a internal battery, you need to use the pad for charge the helicopter. Availability: Normally ships in 4 to 7 days.